A B&B at Whispering Pines Our records show that this inn is closed. The Gilman Tavern B&B Our records show that this inn is closed. Tamworth bed and breakfast travel guide for romantic, historic and adventure b&b's. 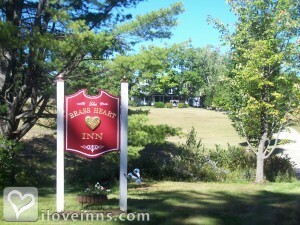 Browse through the iLoveInns.com database of Tamworth, New Hampshire bed and breakfasts and country inns to find detailed listings that include room rates, special deals and area activities. You can click on the 'check rates and availability' button to contact the innkeeper. You most likely have seen it somewhere, the most photographed mountain in all of America, Mount Chocorua, and imagine yourself in a town having that mountain as the backdrop and you will find yourself in a wonderful place called Tamworth in New Hampshire. Visit Lake Chocorua, the White Lake as well as flowing brooks and trout streams where you can enjoy fishing as often and as long as you want, and other scenic views that you can feast your eyes on. Lest you forget, visit one of Tamworth's bed and breakfast and you will experience the best of what this town can offer amidst the natural beauty that surrounds this awesome place. One of the focal points in this town would be the oldest repertory theatre in the United States, the barnstormers, which showcases a great line of shows during summer.